Jancis Robinson MW’s opening words are a testament to the rarity of the occasion. 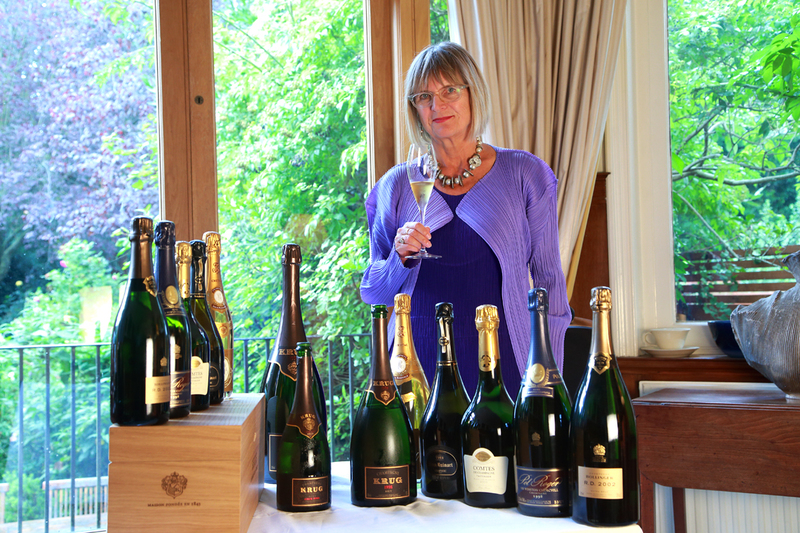 As you may know, on 8th October 2015 at 67 Pall Mall, London’s new private members wine club, The Finest Bubble are running a truly unique event: a Bottle vs. Magnum & Jeroboam tasting, comparing prestige Champagnes from three fantastic vintages (1996, 1998 & 2002) aged in bottle, magnum and jeroboam. 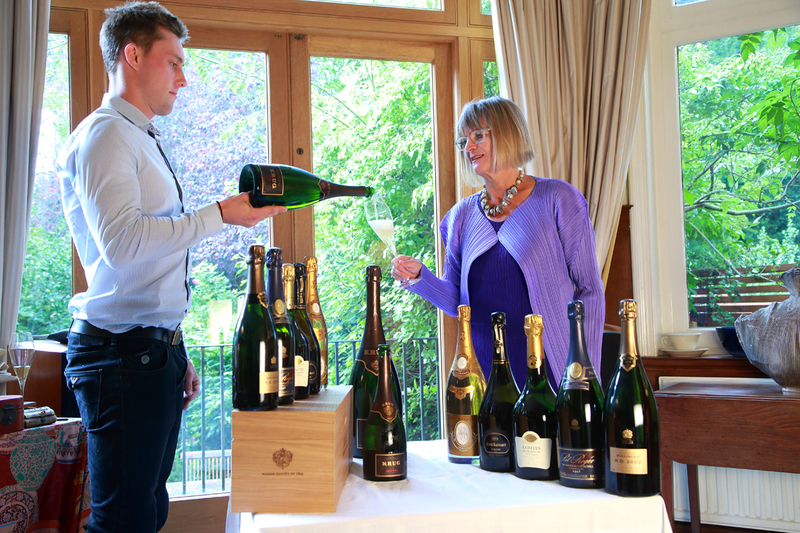 We are extremely lucky to have the world’s leading wine critic, Jancis Robinson MW presenting the tasting and yesterday we met with Jancis to discuss the event and to conduct a “preview tasting” – comparing Krug 1998 from bottle with Krug 1998 from magnum (you can watch a full video of the tasting below). As we will be doing on Oct 8th, we tasted the Krug 1998 ‘blind’; the glasses were poured anonymously and marked deceptively with a square (□) and a triangle (△) to distinguish between them. seemed “less obviously expressive, tighter and more savoury” and pitched her first estimate as to which glass was which: “On the nose (the □ glass) seems more youthful, which might suggest it’s the magnum.” However, it’s worth noting that after sampling them on the nose in reverse order, she noted that the difference was less obviously marked. Moving onto tasting the Champagnes, Jancis was again full of commendation; “Majestic…bone dry finish…very, very bracing with a slight edge of toastiness.” Once again, there was obviously a marked difference between the two glasses, with the △ glass appearing to have more evolution and to be less reserved on the pallet, as well as on the nose. With this in mind, Jancis placed her bets, estimating that the △ glass contained Krug 1998 from bottle and the □ glass contained Krug 1998 from magnum. However, when it came to the big reveal, we were all surprised to find that the □ glass in fact contained the Krug 1998 from bottle and the △ glass Krug 1998 from magnum. answers just yet – there is certainly lots left to learn about Champagne. This was a really fascinating discovery; regardless of the outcome, experiencing firsthand the difference between Champagne aged in bottle and magnum is remarkable, and sometimes the weight of the difference can be surprising; quite often very marked, or as in the case here, fairly subtle. This preview tasting with Jancis left us all thirsty for more and we really cannot wait for Oct 8th, comparing the differences between not only the bottles and magnums, but the different brands as well. 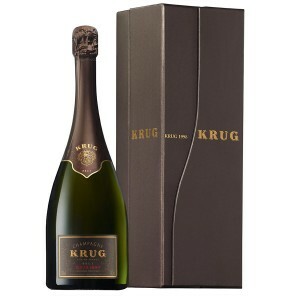 And what about the Krug 1998 from jeroboam?! This will be a truly unique occasion and a Champagne tasting not to be missed! We have very few tickets remaining for the event (less than 5 at the time of printing), and they can be purchased here. You can also buy Krug 1998 bottles and magnums from the website here and discover their mesmerising differences from the comfort of your home.